is the Director of the Centre for the Study of Global Governance and a Professor of Global Governance at the London School of Economics. An expert on security and civil society, she has researched and written exclusively about these topics, and has written for openDemocracy on Iraq and the issue of terrorism. Kaldor is also the co-chair of the Helsinki Citizens Assembly and Governor of the Westminster Foundation for Democracy. She has published a number of books, including Global Civil Society: An Answer to War (2003), New & Old Wars (1999) and The Imaginary War: Understanding the East-West Conflict (1990). After graduating with a B.A. 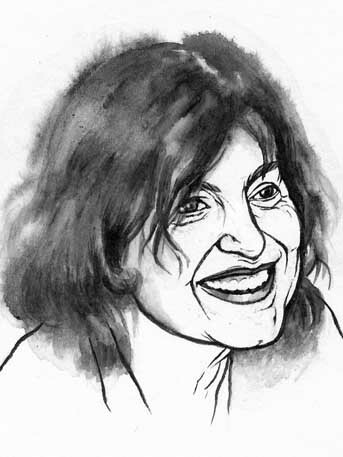 in Politics, Philosophy and Economics from Oxford University, Mary Kaldor was a Scholar at the Stockholm International Peace Research Institute. Since then she has held positions as the Jean Monnet Reader in Contemporary European Studies, and as a Research Fellow, Associate Fellow and Senior Fellow at the University of Sussex.